Women's Original Tall Rain Boots is rated 4.4 out of 5 by 1462. Rated 5 out of 5 by easttnginger from Beautiful Color I bought these boots as a gift from my husband. I had been wanting them for quite some time and I couldn't be happier with the quality of them. I was pleased with the measuring guides that were provided, however I would probably buy the next size up next time. The boots are just a tiny bit snug when trying to take them back off. Maybe this is how they are supposed to fit? They do however fit comfortably when they're on, so no issues otherwise. I'm very pleased with my purchase and would recommend this color and style! Rated 3 out of 5 by Cerabera from Great if you’re thin and tall otherwise get shorts These boots were great quality and looked very stylish. That being said, they did not fit in the original, wide or other calf sizes in the talls. I ordered short boots instead and am moderately happy because it’s a second choice. Ive never had wide calve boots not for me before. Ever. Rated 1 out of 5 by Brooke from DEFORMED Women's Original Tall Dark Olive Boots If I could give this 0 stars I would. My boyfriend ordered me these for Valentine's Day and it came to my surprise when I received these. I am absolutely appalled by the product I received. To make it even worse I was sent these boots so returned them due to the fact that they were deformed and was shocked when I was sent "new ones" that were the exact same ones as before! They look like used boots that someone left in the trunk of their car on a hot summer day so the molding of the boots melted and made them become deformed. I bought these boots to have high quality footwear but instead they look like a pair of boots I found on the side of the road that were run over. But it didn't just end there. I have been trying to return the "new pair" for a refund and am having to jump through hoops just to get a shipping label! I was a loyal customer of many years and swore the quality of the boots were worth the price they are offered at. However, after receiving the same pair of used looking boots not once but TWICE they lost me as a customer. Rated 1 out of 5 by Riss from Horrible company. Bought a pair of tall black insulated while I was pregnant due to swelling They wouldn’t go over my calve so I held onto them and when the swelling went down I tried them on. They will not exchange unworn boots for a larger size. Horrible company and customer service. Rated 5 out of 5 by ellasmom215 from Finally Caved, and So Worth It! 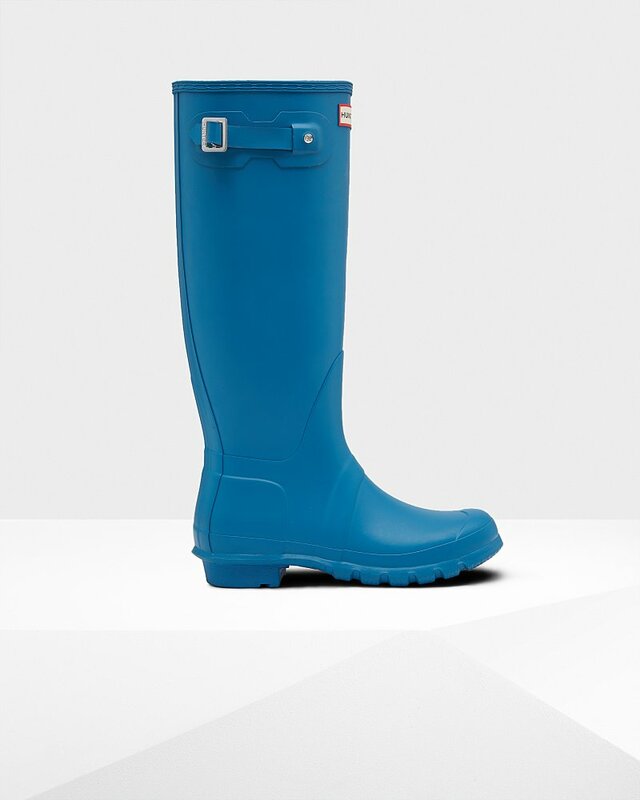 After purchasing new cheaper rain boots every couple years, I finally gave in and purchased these. The fit is amazing, just as expected. No more rain dripping into my boots due to terrible fit. This is the best purchase I’ve made in years. Fingers crossed they hold up! Rated 5 out of 5 by sabrinajo from Stylish and comfy! These are my new favorite boots. They are fab! Highly recommend. I get compliments everywhere I go. Rated 1 out of 5 by Susan from Poor quality I bought these for my daughter as a Christmas present. The seam in the back above the ankle on the right boot is split. It has split all the way through the lining which is very painful when wearing and walking. The split is so bad, I can put my finger clear through the book. For the price and reputation of this company, I expected to get many years of wear out of these. To add insult to injury, I can no longer find the receipt. Rated 2 out of 5 by Narine from Heavy and wide I got these boots as a gift back in December and I was so excited! I always wanted a pair. I was so disappointed they were so heavy and the calf area was so wide they were pretty uncomfortable to walk in. I called customer service and wanted to see if I can return them for the shorter boots but because it was passed 30 days I couldn’t. So sad!!!! Now I have a pair of Hunter boots I can’t wear.